Don’t be fooled by companies claiming to be outside of the PCI PA-DSS “SCOPE”. The truth about PCI PA-DSS compliance is that you are either in or out! As a merchant, you are required to be compliant with the Payment Card Industry Data Security Standard (PCI DSS). The first step is to use a PCI PA-DSS compliant system. ValetParkingApps.com powered by Automated Valet® is proud to be PCI compliant and we are committed to stay PCI compliant. Automated Valet® is listed on the www.PCISecurityStandards.org web site as a PCI PA-DSS Validated Payment Application. Monitor every transaction, regardless of payment form; cash, credit card or validations. Employees can conveniently submit their end-of-day revenue reports at anytime needed. We will track every parked vehicle’s: arrival time, make, model & year with real time. As well as payment method and vehicle departure time. Assisting you control your garage and surface lots capacity, exposing your peak times. 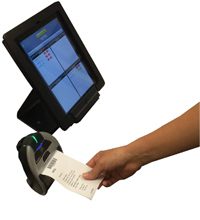 With our handheld scanner attachment you can now automate ticket entry info by scanning the VIN and our system will automatically populate returning guest’s name, vehicle information and license plate info. Provide guests with quick and efficient payment options using our credit card attachment. Guest will have the flexibility to pay with credit cards, cash or validations. Our system will provide you with proper tools to manage your employee’s time and attendance, while tracking their productivity and efficiency. Enhance your credibility against damages with our damage control pictures. 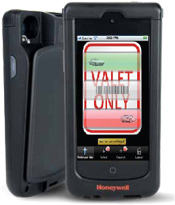 Valet runners will easily take pictures or manually insert vehicle pre-existing damages with time stamp. It will automatically be linked to vehicle ticket and stored in the system for 45 days. Any rate configuration regardless of how many structures can be handled by our system. 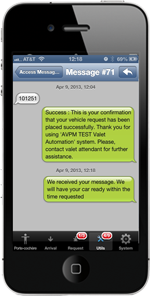 Provide guests the convenience of requesting their vehicles by simply sending a text message or email to our system. Valet attendants can communicate with a two way messaging system. Our system will assist you eliminate lost keys, alerting your valet attendants if keys are not stored away within a specific time. Manage validations at various locations within the operation. Attract more customers by offering time, fee and/ or percentage discounts on parking. 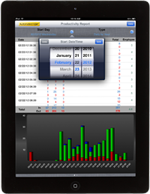 AVPM® Valet Parking Apps solution has many different analytic reports that will benefit your overall operations. Monitor your location(s) remotely, with real-time reports of employees’ time, attendance, performance and revenue from any web capable device around the world.